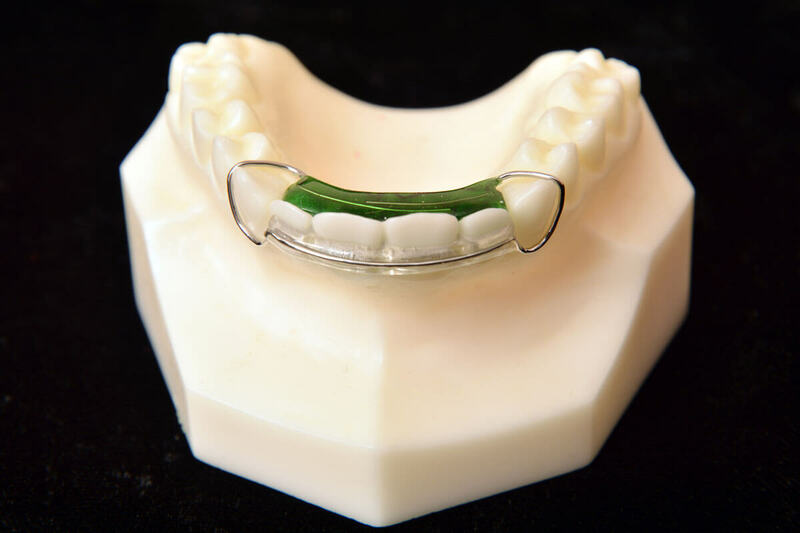 The standard Upper Hawley design is constructed with .030 canine to canine “Hawley” labial bow with .028 ball clasp on the first molars. The standard Lower Hawley is constructed with .030 canine to canine “Hawley” labial bow with .030 occlusal rests on the first molars. 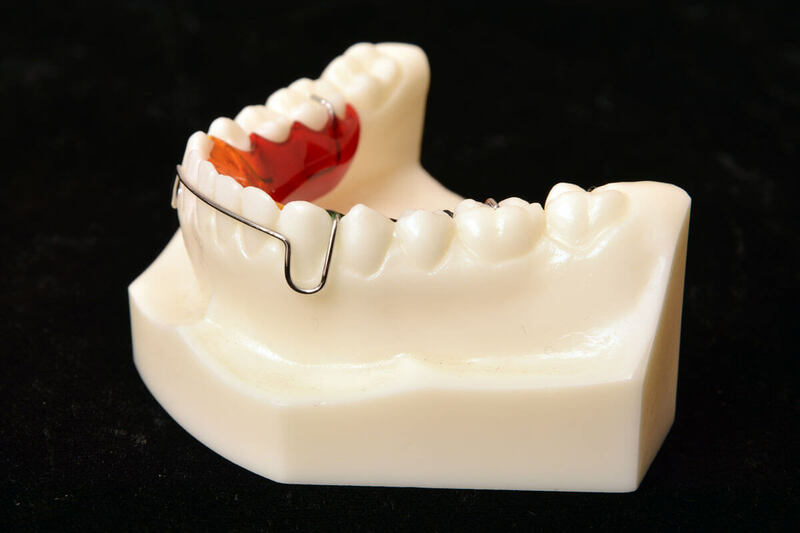 The standard design is constructed with .030 labial bow with .028 ball clasp. 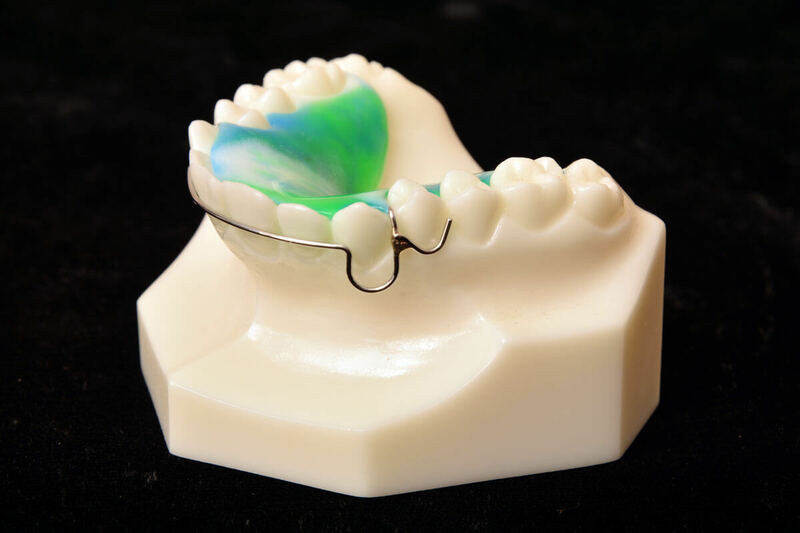 Lower appliance includes .030 labial bow with .030 occlusal rests on the first molars. Optional clasping includes Adams, “C” or Arrow clasp. 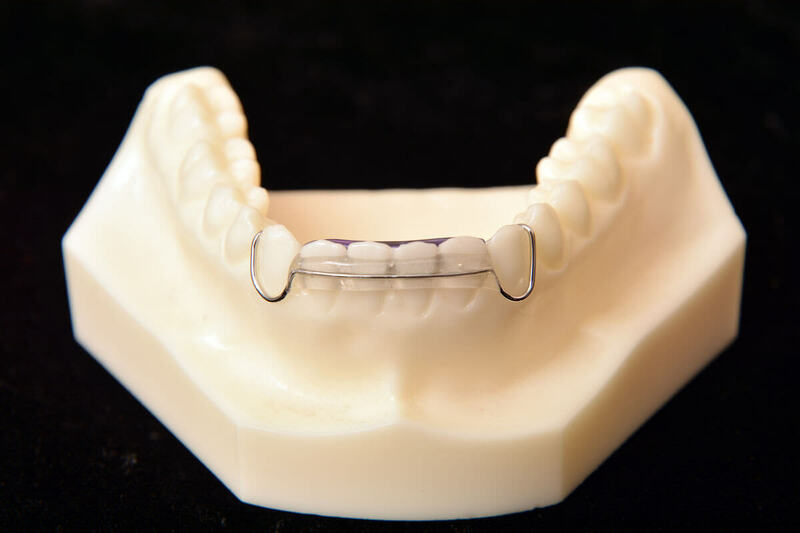 The standard design is fabricated with 3-3 labial bow with .030 “C” clasp soldered from the labial bow to the first bicuspids. 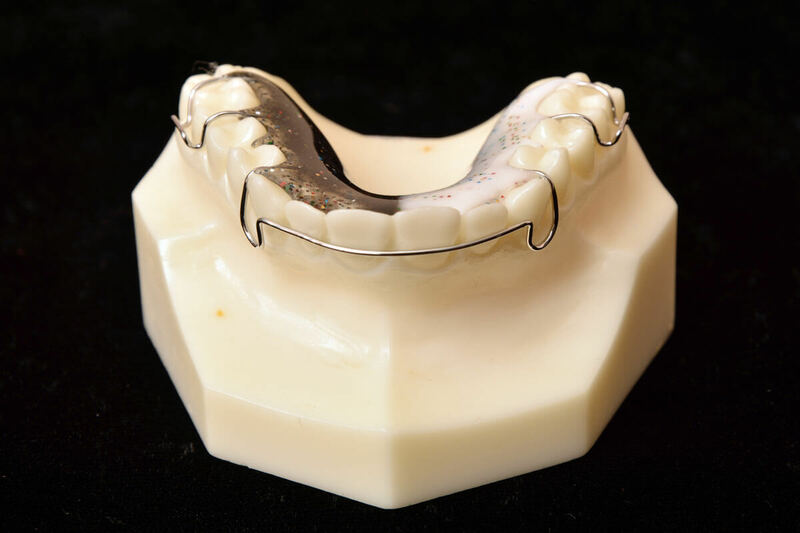 This appliance is used when elimination of occlusal interference is an objective. 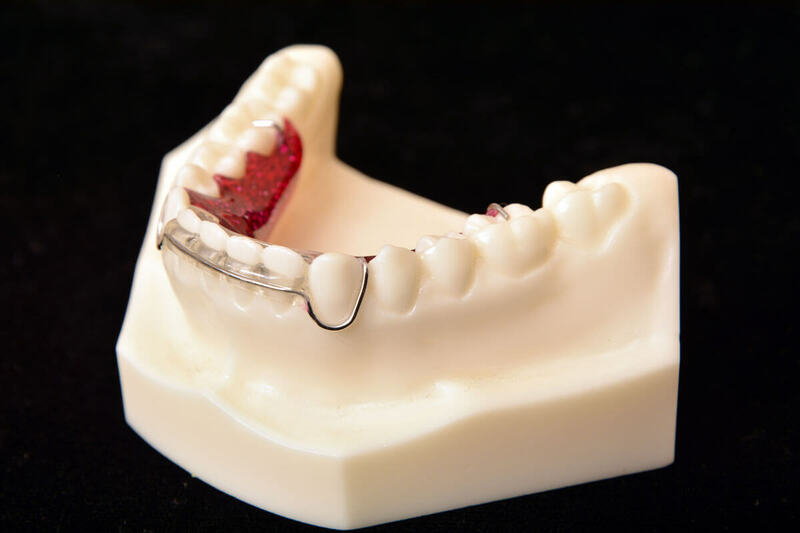 Appliance construction includes .032 wraparound labial bow with acrylic terminating on the most distal molar. Adjustment loops are placed in the canine area. 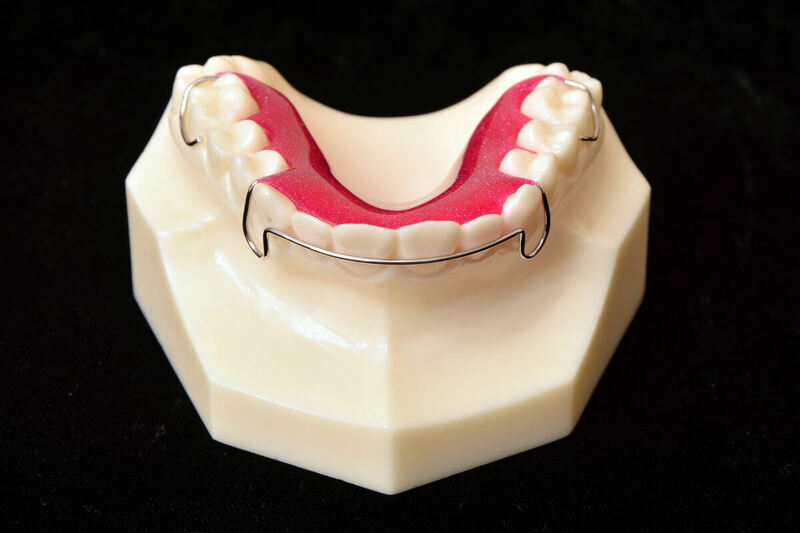 Appliance fabrication includes either Adams or “C” clasp placed on the first molars. 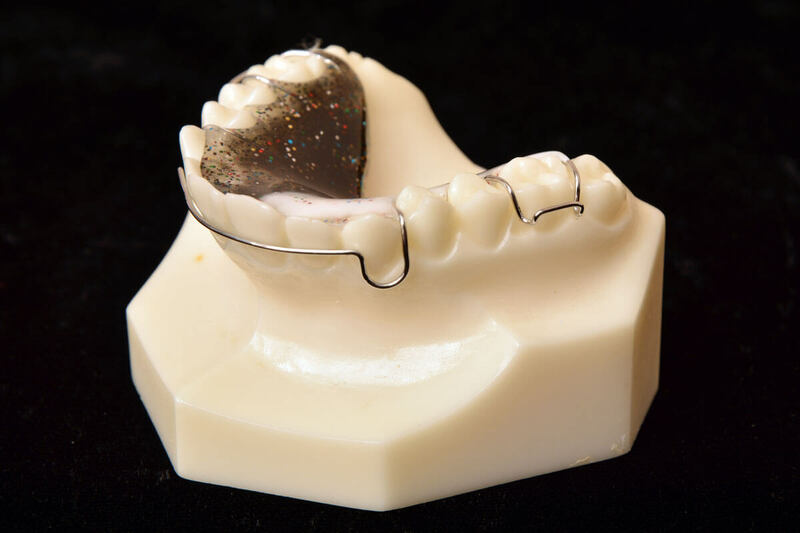 Wraparound labial bow is soldered to the buccal arm of the Adams or the “C” clasp. 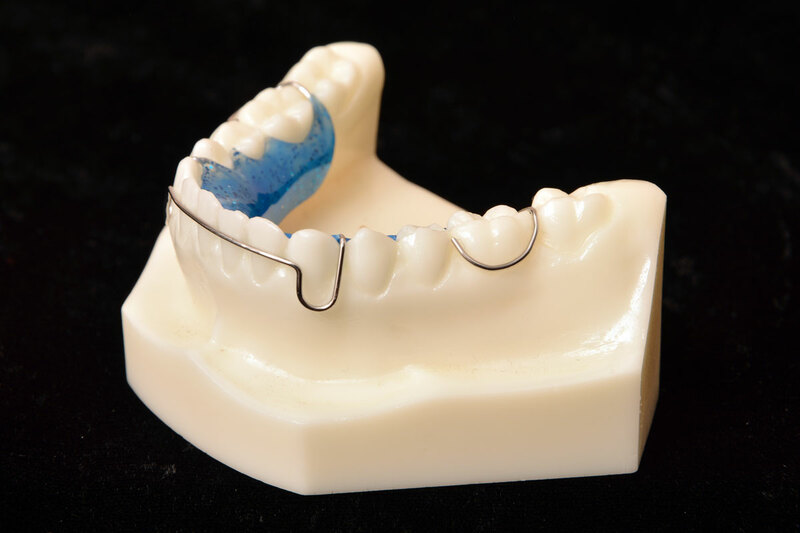 Designed to correct irregular or relapsed upper and lower incisors. 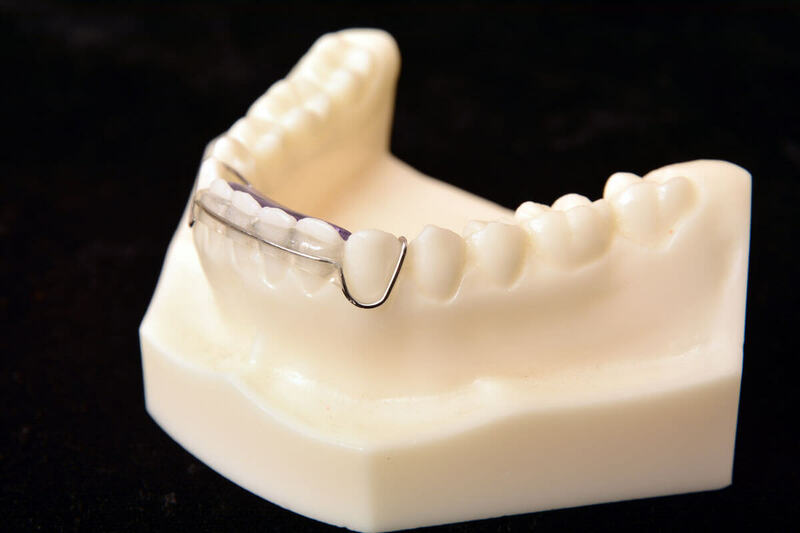 Resets can include any or all four incisors into a more ideal relationship. 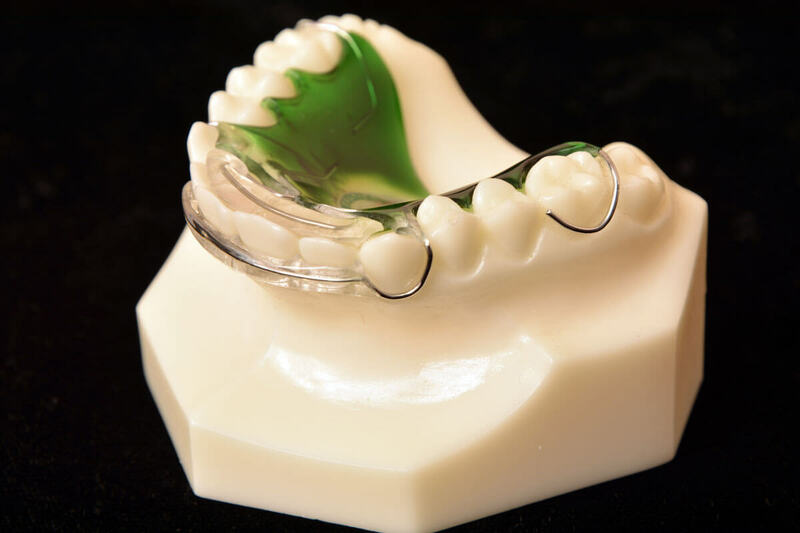 Forces are directed from the lingual and labial surfaces. Appliance is not recommended for space closure. 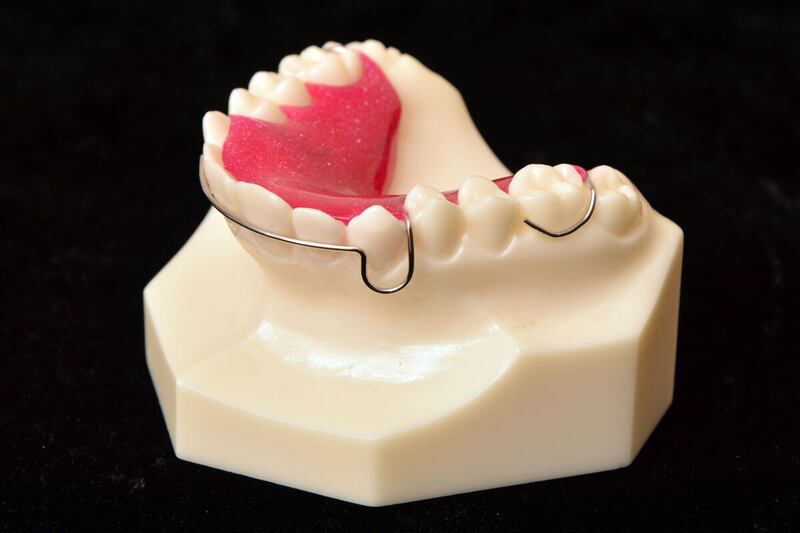 This appliance is fabricated with .028 resilient wire and acrylic. 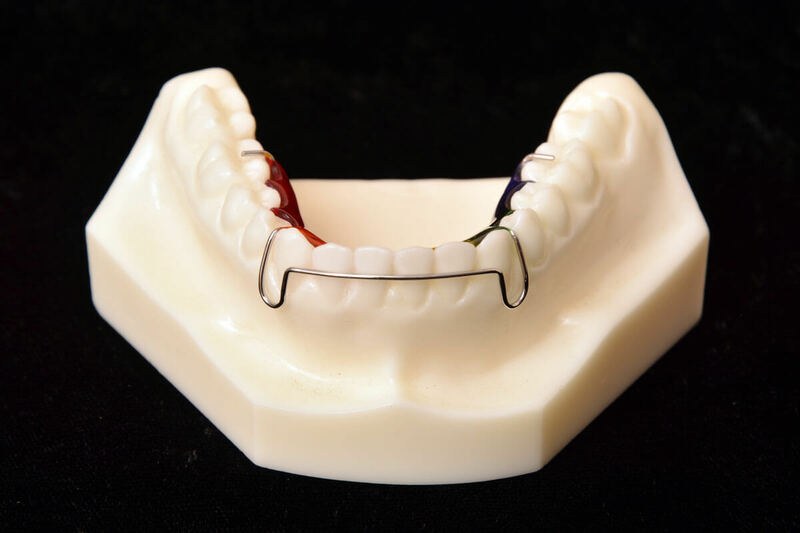 Similar to the 3-3 with the addition of .028 Ball clasp contoured to the lingual gingival margins for added retention. 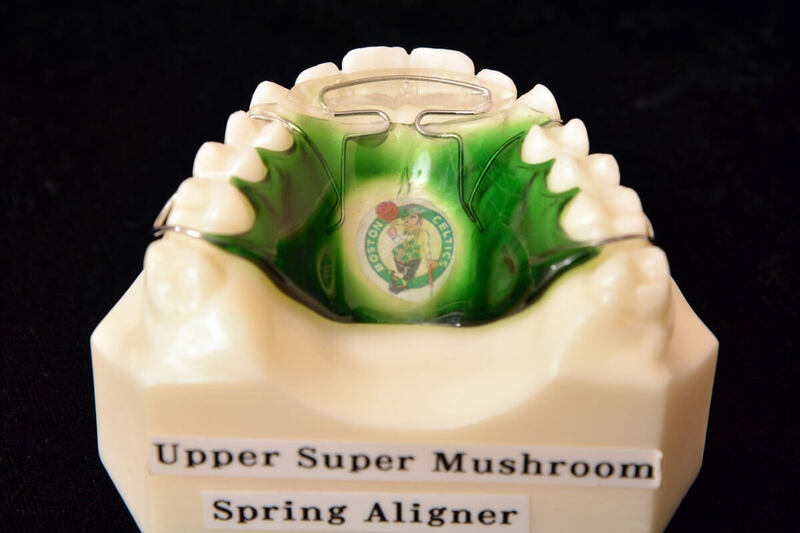 This appliance corrects the same problems as the spring retainer. It is also useful when fixed appliances are removed. 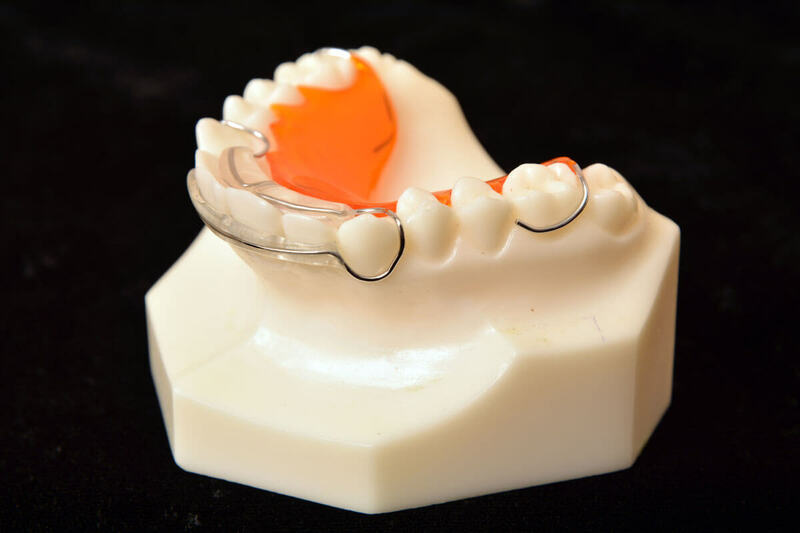 The full palate design ensures greater retention and stability. An improved design over the modified spring for use on cases where significant labial movement of centrals and laterals are required. 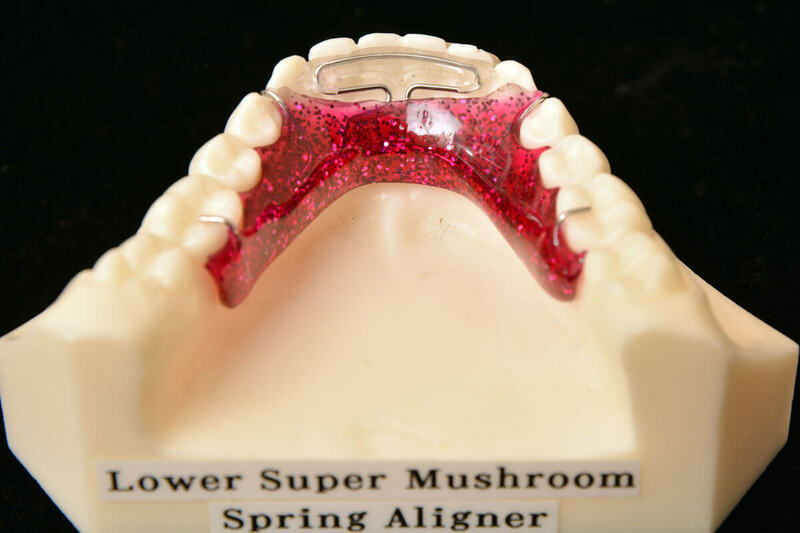 Designed width a lingual mushroom spring provides more flexibility on the lingual than the modified to provide more labial movement of the setup. 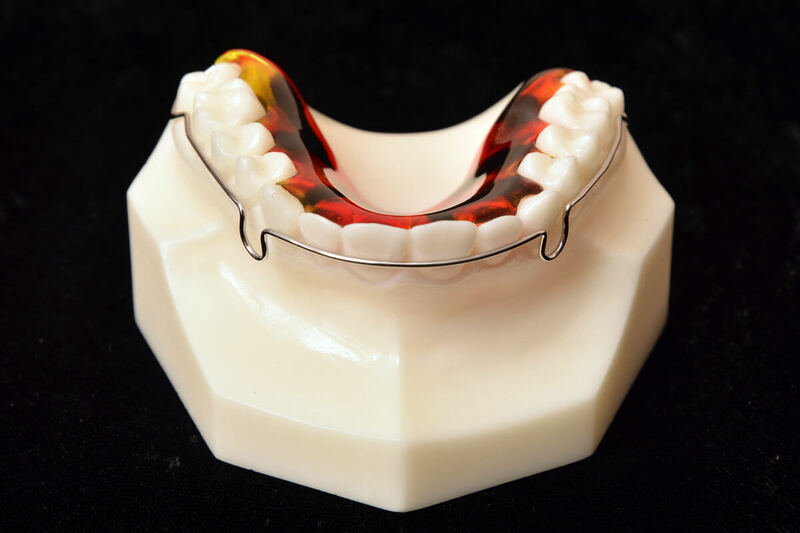 It allows the patient to seat the appliance more easily. 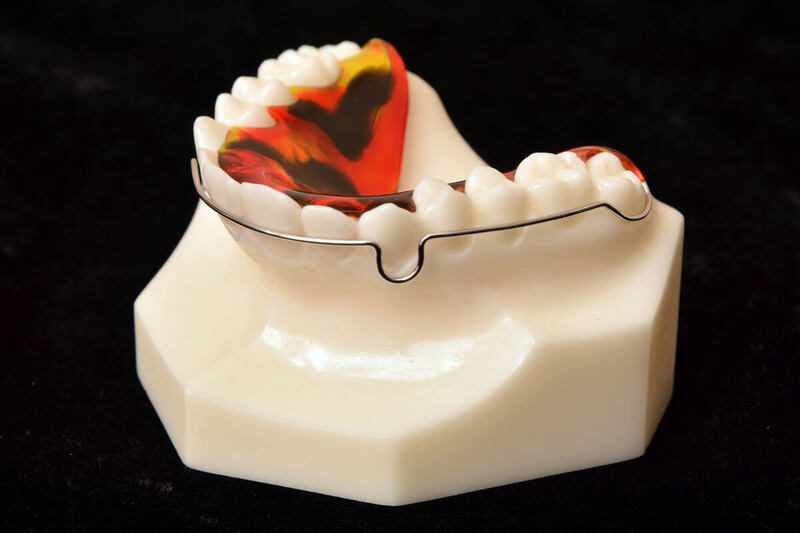 This design incorporates a labial bow with helices to provide positive activation. 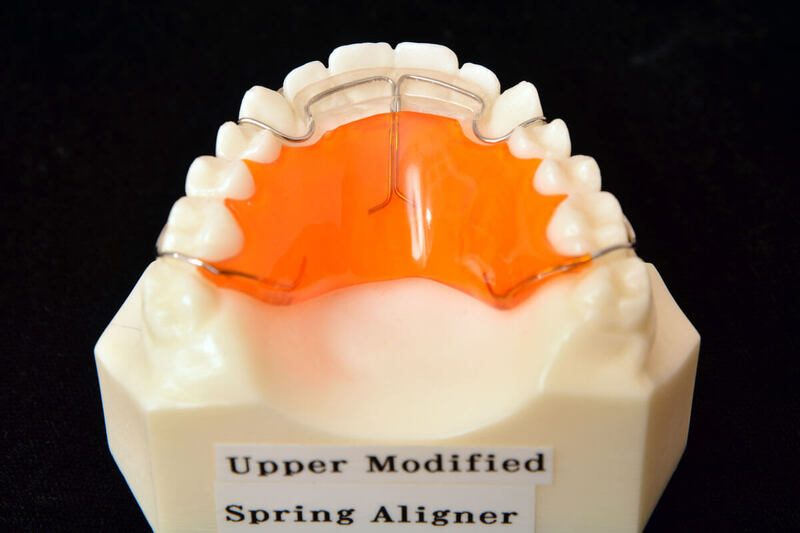 Consistent forces are provided to maintain anterior alignment without the need for periodic adjustment. 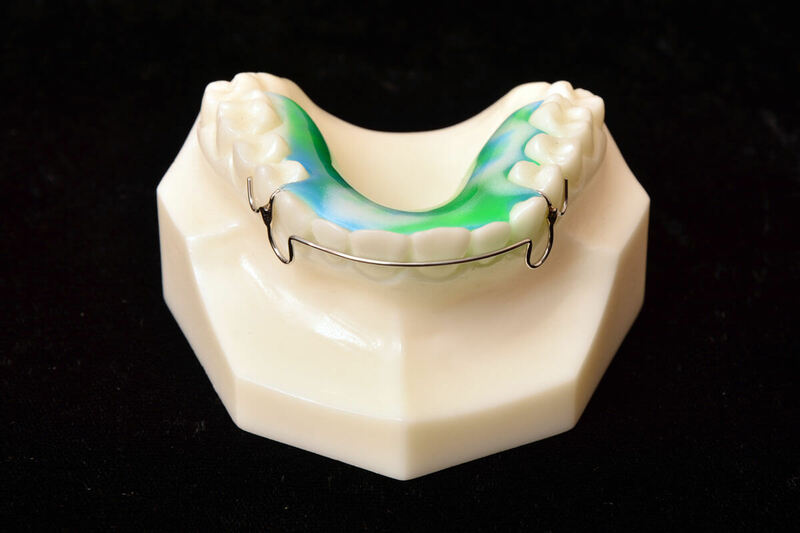 The flexible body construction assures constant arch integrity.